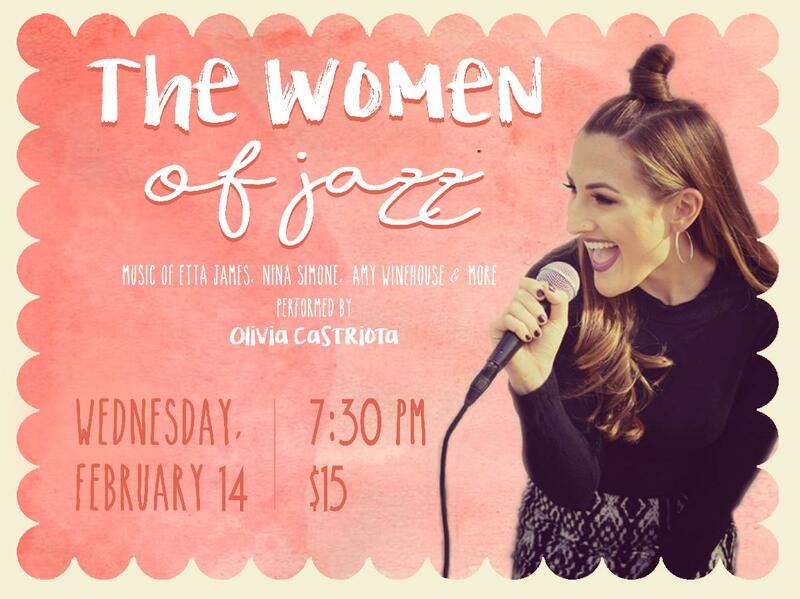 Join us for a special evening full of love celebrating the Women of Jazz: Etta James, Nina Simone, Amy Winehouse & More performed by the young and talented Olivia Castriota. The best female jazz singers in music history have a sound that's like no other. Their melodies and tones captivate us and keep us coming back for more. Many of the best women are no longer with us, but their incomparable jazz vocals will live on forever. Olivia Castriota is a NYC based vocalist and recording artist. Her debut album 'All At Once' peaked at #2 on the iTunes US New Album Release charts and her music video for “I Wanna Know” won 'Best R&B Video' by The Academia. She has had the privilege of singing at the World Famous Apollo Theater five times; opened for 'The God Mother of R&B' Lil' Mo, The Shades, Lili K, Milo Greene, and RANN; performed with Grammy nominated artist Marky of The Ramones and Hollywood Anderson of American Idol and worked with songwriter of seven #1 hit songs, Vlado Kolenic.